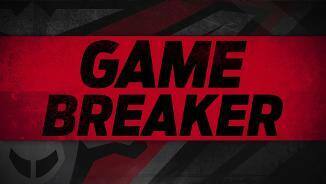 The standouts for the Bombers have been Z. Merrett with 34 disposals, J. Daniher with five goals and A. McDonaldTipungwuti with four goals. 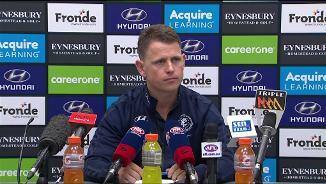 All of Carlton's goals have been launched from Essendon turnovers. The Bombers have hit 100 points for the first time this year. The Blues have had eight inside 50s to one in the last term. The Bombers have continued to score from defensive 50 chains, they have now scored 39 points from this zone which is 27 more than their average. 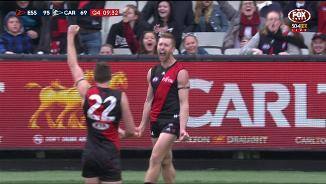 Today the Bombers have scored from 64 per cent of inside 50s which is a huge improvement on their season average of 42.3 per cent. 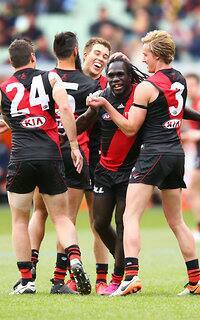 Anthony McDonaldTipungwuti has kicked three goals from his four disposals this term. 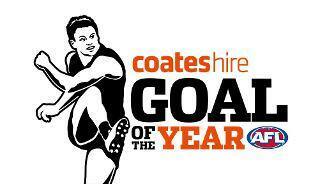 Throughout the third term, the Bombers have manged five scores from their seven entries. 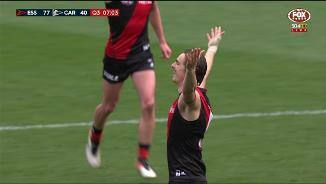 In the third term, the Bombers lead clearances five to one and have kicked three goals to zero. 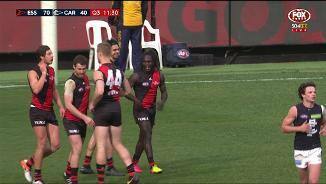 After the Blues had the first three inside 50s of the quarter without a goal, the Bombers have kicked a goal from their first entry of the term. 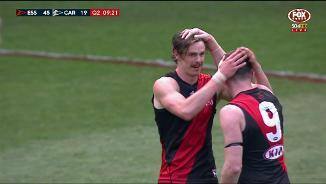 In the second term, Joe Daniher has had seven disposals, two score assists and has kicked three goals. 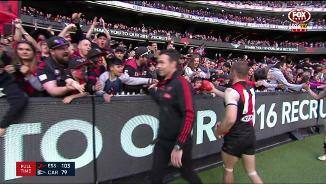 Bombers InterchangeConor McKenna off due to the blood rule. The Bombers have scored 20 points from chains starting in the defensive 50, they have averaged 12 points from this zone in 2016 (ranked 17th). The Blues have turned the ball over 12 times this term, from these, the Bombers have scored 2.5 (17). 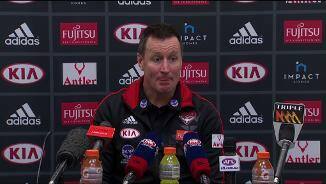 The Bombers haven't been able to capitalise on their dominance, they have kicked 1.5 (11) for the term. 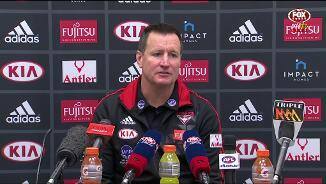 The ball has been in the Bombers' forward half for 75 per cent of the term. 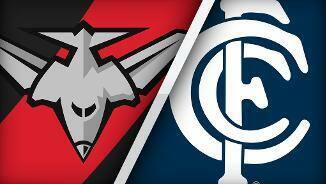 The Bombers have played on from 12 of their marks compared to Carlton's two. Carlton has generated all of its scores from Essendon turnovers. 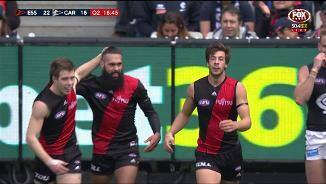 In the last 10 minutes the Bombers lead inside 50s seven to three, marks 11 to two and have kicked two goals to zero. 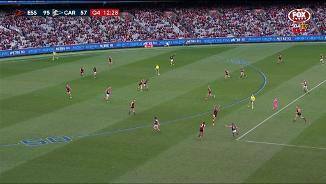 Essendon has won four of the five clearances of the game so far. Craig Bird leads all comers with two. 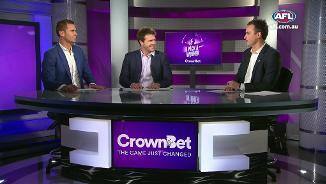 The Blues have kicked 2.1 (13) from their first four entries inside the forward 50, they average a score from 39.7 per cent of inside 50s (ranked 18th). 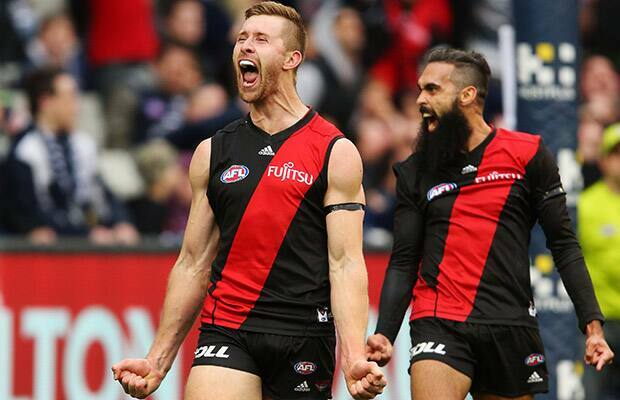 The Bombers have won just 28 per cent of defensive one on one contests this season (ranked 16th). 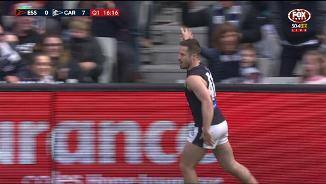 In last week's win over Melbourne, Carlton won the clearances by 15, while scoring 47 points to five from clearance chains. Welcome to MCG for the Essendon v Carlton Round 23 clash.